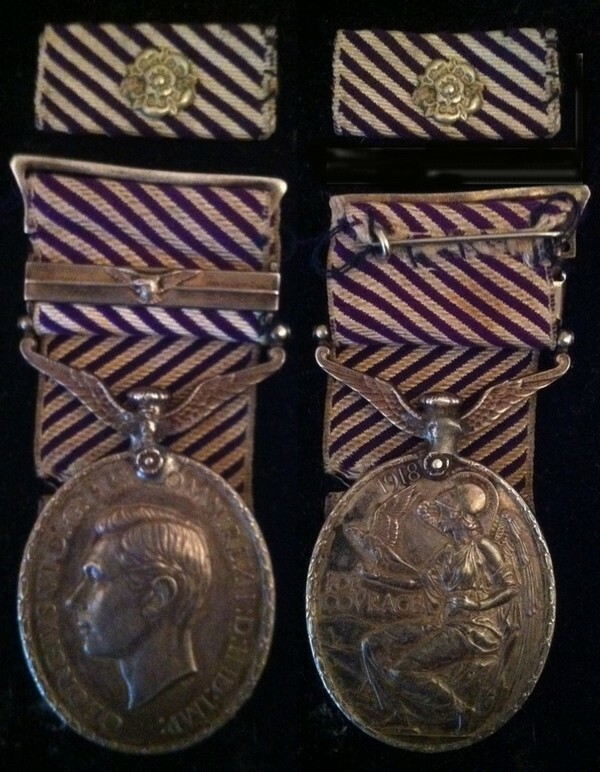 A Magnificent and 'Ultra Rare' Distinguished Flying Medal & Second Award Bar. (Wop/Ag) To: 643309. 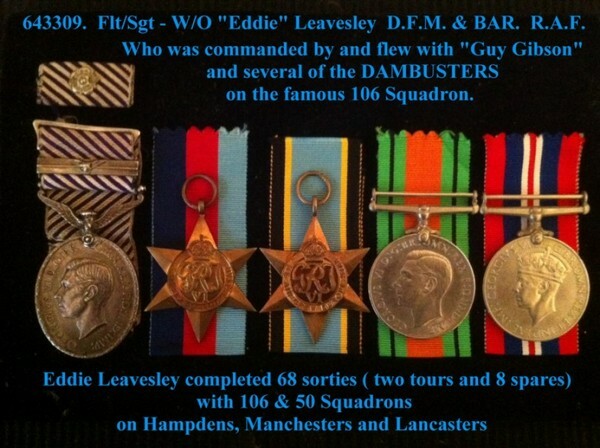 Flt/Sgt - W/O Eddie Leavesley. 50 and 106 Squadrons RAF. 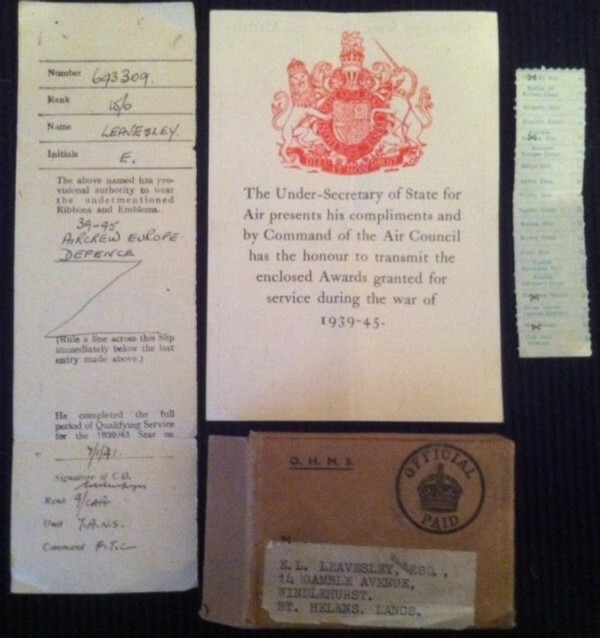 ( Commanded by and flew with Guy Gibson and several of the other Dambusters while on 106 Squadron ) With full Ops Records of his 68 Sorties, badges, and many original newspaper cuttings. Also, the original congratulatory telegram on his DFM. 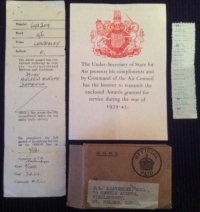 Copies of both citations and several (named) photographs of he and his crews on 50 and 106 Squadrons. 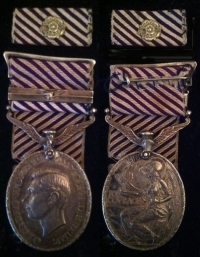 ONLY 60 2nd AWARD BARS TO DFM's WERE AWARDED IN WORLD WAR TWO. 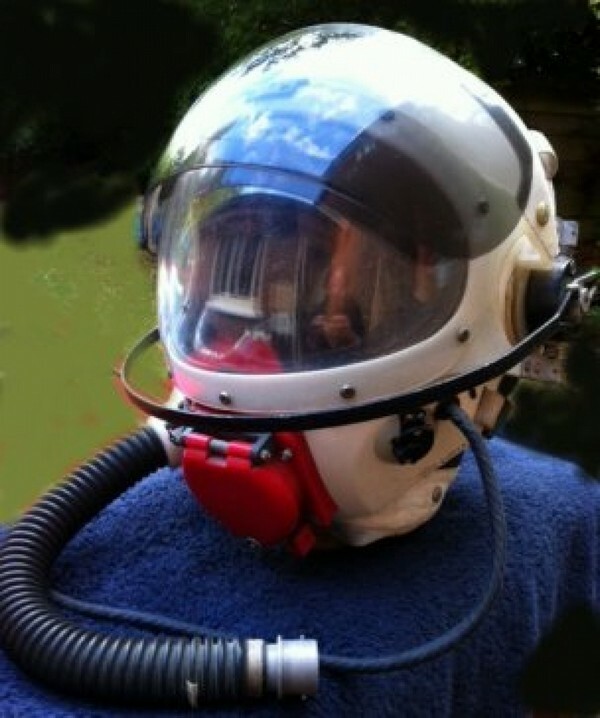 A ´SUPER RARE´ TAYLOR ´PRESSURE HELMET´ (R.A.F.) Late 1960´s. 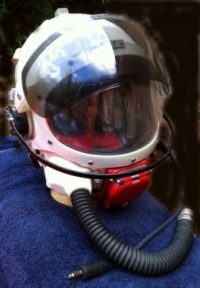 Lightnings, HIGH ALTITUDE. A 'SUPER RARE' TAYLOR 'PARTIAL' PRESSURE HELMET (R.A.F.) Late 1960's. 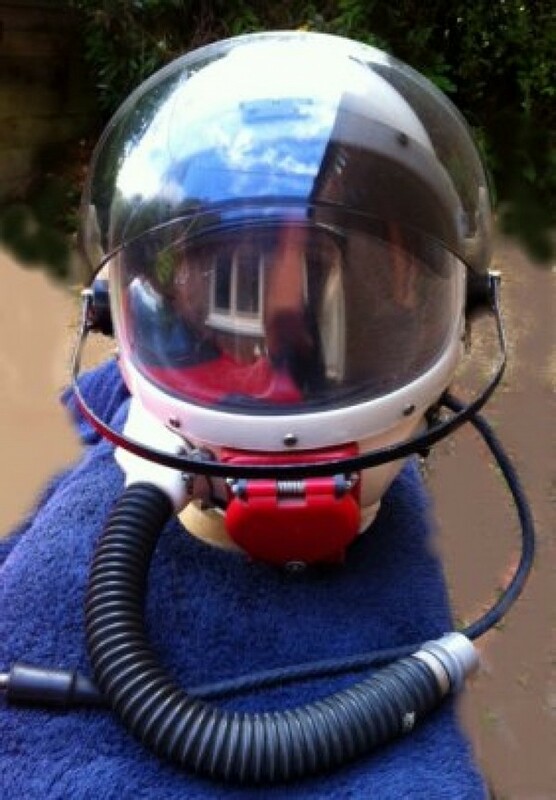 Lightnings and Vulcans, 'HIGH ALTITUDE MISSION KIT' . This is a sheer classic and the absolute 'top prize' for the serious flying kit collector. Normally totally unobtainable at any price.